I am still loving the effectiveness of using dryer sheets to clean a shower door. Vinegar too, is of course well known for its many fantastic uses. One of which is getting rid of mineral deposits that build up around water sources. and around your faucets where you can get an ugly build up. 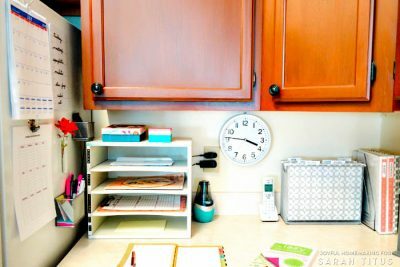 In this post it worked magic on one of my bathroom faucets, however I hadn’t gotten around to using it on my kitchen faucet, till last week, and I was not disappointed when I did. Here is the ugliness that my kitchen sink had succumbed to. As you can see, (and I am embarrassed to show) it was WAY passed time to get the job done. Because I had guests coming, I was REALLY motivated to tackle it. 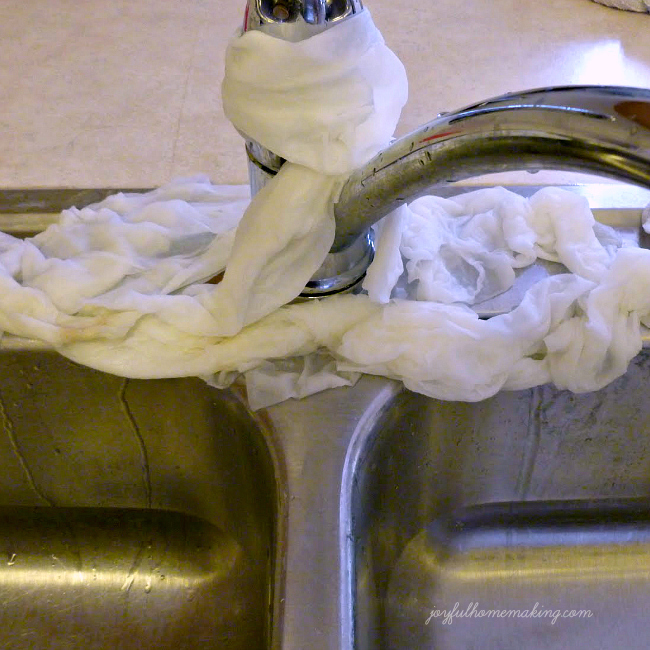 So I soaked paper towels in vinegar and covered the faucet area with them. (Be careful not to scratch your surface). The results were again AMAZING! Yes, that IS the same sink as the before shot! Isn’t it AMAZING what a little vinegar and a little elbow grease can do? 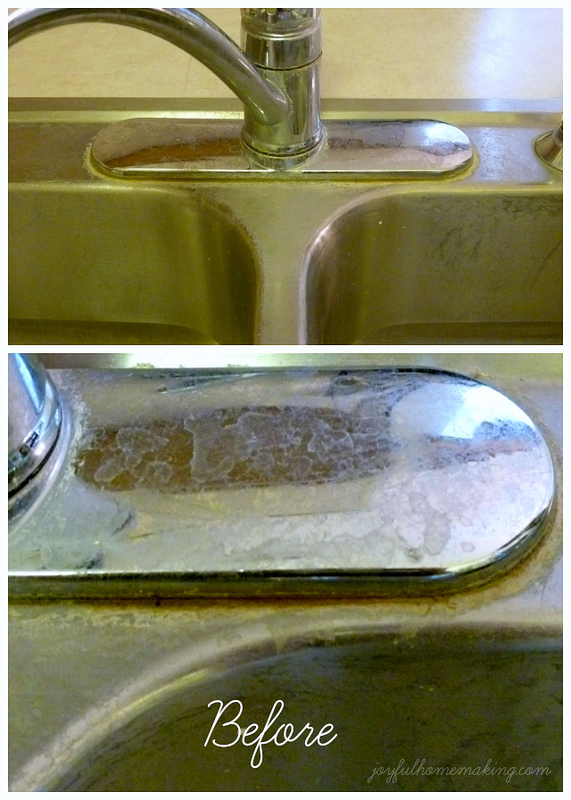 The vinegar took off the buildup and the water spots as well, and my sink looked almost new! Now if only I would stop cleaning my paint brushes in there, I wouldn’t have any stains. Gotta say, I am loving vinegar! Who knew?! I wish I had this information when I was living in UH where the water was a lot harder then here in MI. Thanks for the info. Lovely blog you have here. I’m coming form Bacon Time. I love vinegar too! It’s good for almost anything. My husband had guests at his home (before we were married)and someone poured blue dye into a toilet. He scrubbed with everything he could find, to no avail. As a last ditch effort, he poured vinegar into the bowl. Waited about 30 minutes to flush, and every bit of the dye went away! So yep, we’re firm believers! Your sink looks brand new!!! That’s pretty impressive. 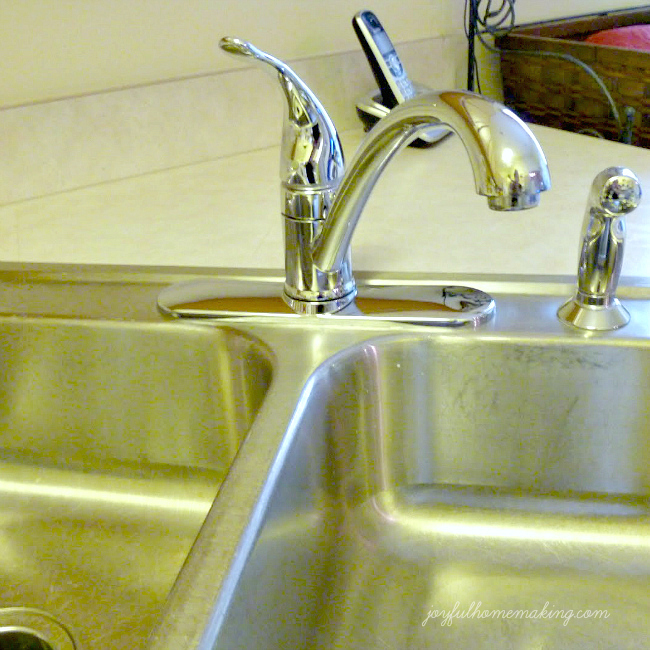 I use vinegar on the counters and to clean appliances, but I hadn’t tried it on faucets, so will have to give this a go–thank you for sharing! Wow! I am defintely doing this with my kitchen and bathroom sink! Thanks for the tip! I’ll be trying this later today! We are major vinegar lovers. We use it to kill weeds, clean floors (tile) diluted, scrub windows, no use is too small. What a great idea! I love using vinegar but I have not tried this before. Thanks for the tip! I LOVE vinegar! I used it the other day to clean around my stovetop. It really cuts through grease, and it’s safe and cheap. Thats amazing!! 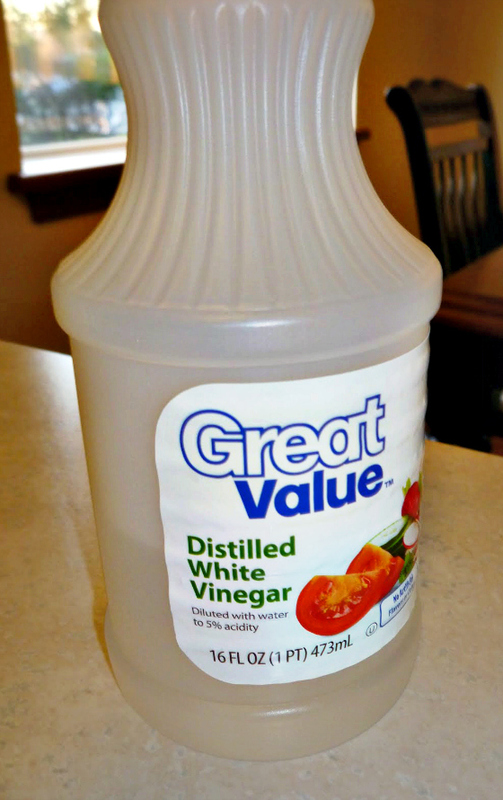 I’ve used vinegar an water to clean my windows for years.. A trick my mom taught me but I didn’t know it had other uses.. How did you find these vinegar uses? The sink looks awesome! 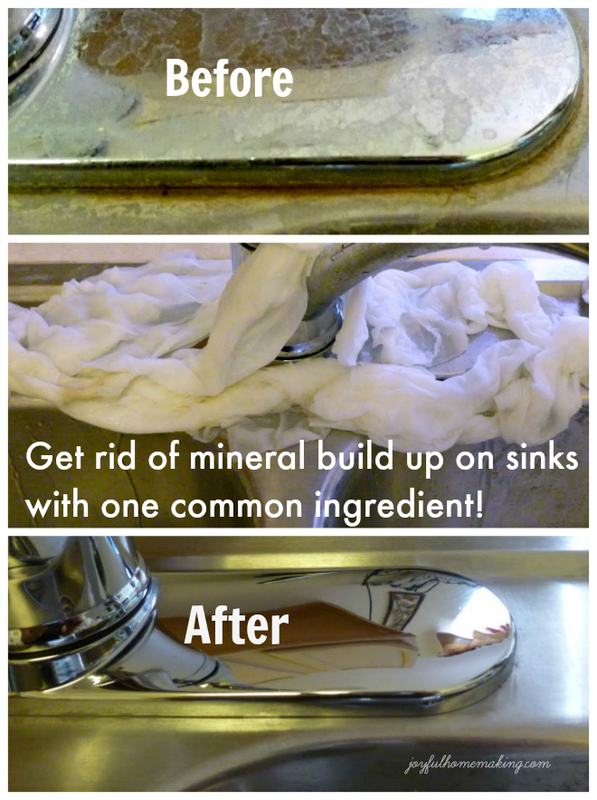 That is a great tip for kitchen sinks. I hope you will link this up starting Wednesday at The CSI Project. The challenge of the week is kitchen makeovers and decor. Come on over each day for a tutorial then the competition begins Wednesday.Each week is a new challenge. I had no idea that vinegar would do this! And boy do I have some sinks, and shower doors in need. Here from Too Much Time, thank you for sharing! Ok. Genius! I’ve used it on my shower head but not on my kitchen sink which looks exactly like yours. Thank you, thank you!!!! Glad to have found you. I love to clean with vinegar. This transformation is amazing! awesome! I just did a blog post on this myself. It really cleans everything! Wow! That looks amazing, such a difference. This is so great!!!! I will be using these tips! 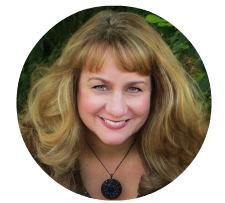 I am visiting form the Glimpse inside linky and am your newest follower! 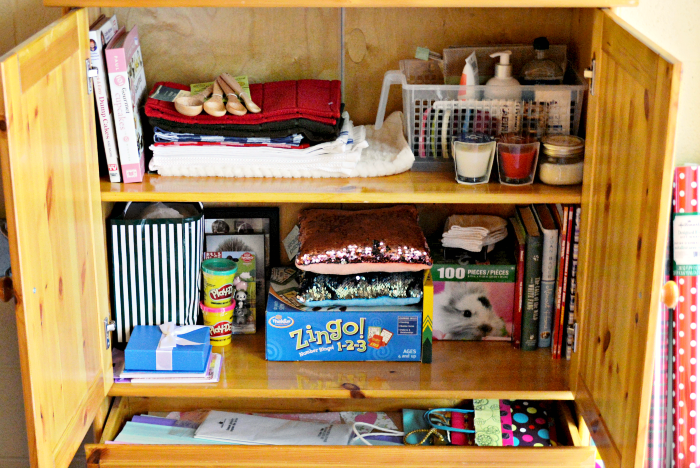 I blog over at http://www.garagesalesrus.blogspot.com/ I hope you will stop by and do the same! I also have an awesome giveaway going on right now with a Cricut Machine. I would love it if you would enter! It ends tomorrow though! Hope you have a great day! 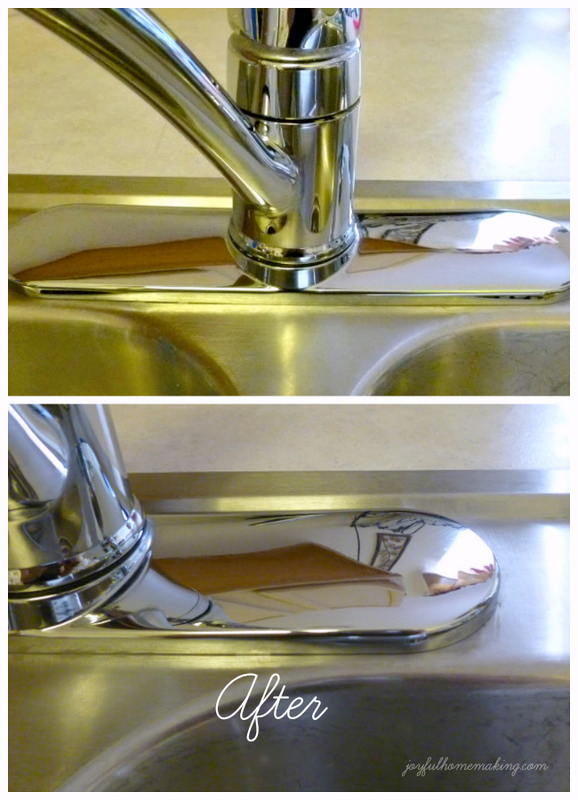 My stainless steel sinks have been less than new for awhile and I have been meaning to find a good cleaner for them, but hadn’t thot of the super cheap and effective all purpose white vinegar. Thanks for solving my problem and saving me money! This is a great tip. Thank you for sharing! Another great use for vinegar is in the laundry! Have you ever finished your laundry and see white splotches all over your clothes? Run them through the wash again with about a cup of vinegar mixed in. The vinegar will remove all the white splotches and any other detergent build up too! Works wonders! Amazing! I’m going to try this today! Thanks for sharing this tip!! makes my life easier. THANKS!!!! What a wonderful thing to know! I use vinegar to clean almost everything else but haven’t thought to use it on the sink. Thanks! Thanks for this great tip. Vinegar seems to be the go to product for cleaning. I just found a recipe for cleaning engineered wood floors. I will be giving that a try soon. And I will be trying it on the faucets. I love the smell of vinegar.